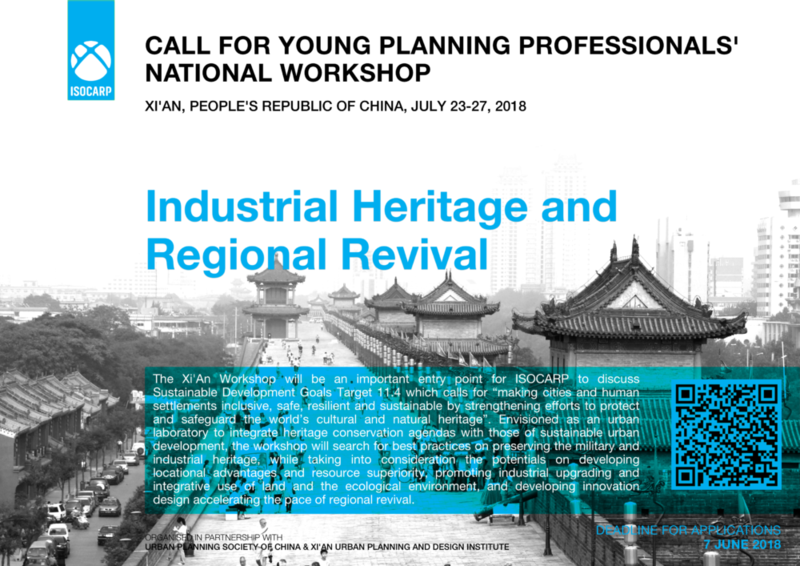 ISOCARP, in cooperation with The Urban Planning Society of China (UPSC), agreed to plan the Young Planning Professionals’ National Workshop in Xi’An between the dates, July 23 and 27, 2018. The workshop will be jointly undertaken by the Youth Work Committee of the UPSC and the Xi’an Urban Planning & Design Institute. The purpose of the workshop is to contribute to the knowledge base and improve skills of young professionals, the future leaders of our profession, meanwhile provide international academic exchanges and mutual learning opportunities for both domestic and international youth planners. The overall theme for Xi’An YPP workshop is ‘Industrial Heritage and Regional Revival’, making the workshop an important entry point for ISOCARP to discuss Sustainable Development Goals Target 11.4 which calls for “making cities and human settlements inclusive, safe, resilient and sustainable by strengthening efforts to protect and safeguard the world’s cultural and natural heritage”. Envisioned as an urban laboratory to integrate heritage conservation agendas with those of sustainable urban development, the workshop will be focusing on two alternative sites that are determined within the Xingfu Road area close to the old Steelworks Creative Park: a site along the old railway tracks, and another on the East Factory as one of the ‘156 Project’ military factories. The workshop will search for best practices on preserving the military and industrial heritage, while taking into consideration the potentials on developing locational advantages and resource superiority, promoting industrial upgrading and integrative use of land and the ecological environment, protecting urban morphology including the buildings and environs of military factory areas and bridging the old with newly constructed projects in the near surrounding and creating new landmarks in the eastern part of the city. The proposals will focus on innovation design accelerating the pace of regional old city renewal and providing ideas for transformations of other military factory areas. Any questions during these procedures and regarding the topic, on-site logistics and travel arrangement should be sent to VP YPP, Zeynep Gunay: gunay@isocarp.org.